President Donald Trump's lawyer Rudy Giuliani (joo-lee-AH'-nee) has issued a new statement aimed at clarifying earlier comments that appeared to leave open the possibility of collusion between members of Trump's 2016 campaign and Russia. Giuliani says he represents only Trump and not the campaign, and that there was no collusion by Trump "in any way, shape or form." Giuliani also says he has "no knowledge of collusion by any of the thousands of people who worked on the campaign." Giuliani on Wednesday night insisted in a CNN interview that he'd never said there wasn't any collusion between members of the Trump campaign and Russia. Trump has repeatedly denied that there was any collusion. President Donald Trump's lawyer Rudy Giuliani (joo-lee-AH'-nee) says he's "never said there was no collusion" between Russia and members of Donald Trump's 2016 presidential campaign. Giuliani's comments Wednesday night on CNN directly contradict the position of his own client, who's repeatedly insisted there was no collusion during his successful White House run. Giuliani himself has described the idea of Russian collusion as "total fake news." Giuliani says even if some on the campaign did something wrong, there's "not a single bit of evidence" tying Trump to a Russian hack of Democratic emails. 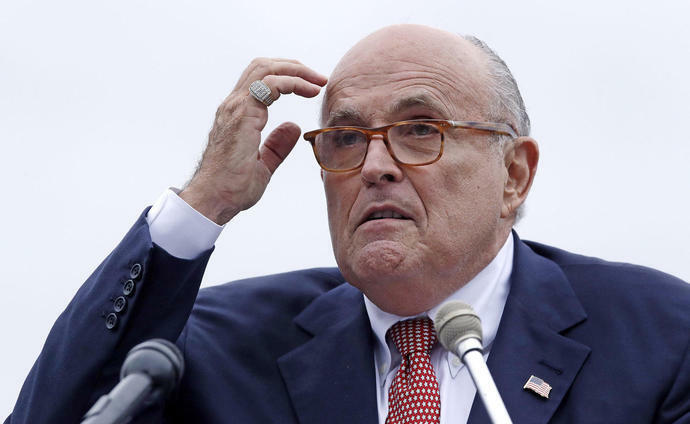 The comments on collusion came after Giuliani was asked about the revelation in court papers that former Trump campaign chairman Paul Manafort had shared campaign polling data with an associate the U.S. has tied to Russian intelligence. Must be like to visit here this great blog online i really like it so need to join here roblox free robux games for kids full enjoyments to all friends choose the best game and create the high score.